Hooray for summer! Want to know how to make your own money-saving all-natural bugspray and refreshing coconut milk? Keep reading! Though summer weather may have started long before June in lower latitudes, here in the north June lets us get a taste of coming warmth but often feels more like spring (which most of it is according to the calendar). Some days are hot enough to warrant ice cream and a splash in a pool, while others are cool enough to require long sleeves. In our family, June means the beginning of our weekly visits to our fabulous CSA, Open Hands Farm, and eating beautiful greens and strawberries to usher in the season. Wow, did I eat a lot of salad this month! How about you? Enjoying some local or homegrown produce? I’ve been loving the goodies coming from our yard, from rhubarb and honeyberries (pictured at left), to strawberries and arugula. Juneberries looked to be a good crop this year, but an evil bug got in and mushed most of them. We’ll be looking into deterrents next year. The lemon balm is going strong, so I enjoy a little stroll through the yard to harvest my favorite sleepytime tea regularly now. I’ve been discovering that a number of other plants I grow for pollinators and because they’re drought-tolerant have medicinal benefits as well, so a few yarrow and bee balm leaves have been making it into the teapot also. I was also pleasantly surprised when I was researching an article on medicinal herbs for Eartheasy to find that catnip is another soporific herb. I planted some for my cats a long time ago, and I’ve mostly been pulling up these not-terribly-attractive plants, which pop up here and there. Now I’m harvesting them for tea as well. Turns out catnip is also being researched as an effective bug repellent. When I learned my 5-year-old’s summer camp wanted her to bring bugspray everyday, I started exploring the most effective ingredients for homemade natural insect repellents. The Hippy Homemaker has some great information on essential oils for homemade bugspray as well as tips on what’s safe for kids. I wound up with geranium and lavender oil as my primary ingredients, as some of the oils (like peppermint and eucalyptus) I’d use on myself aren’t recommended for younger kids. We’ve avoided the commercial brands containing DEET and other chemicals for a long time, and the store-bought versions didn’t seem to work well enough to warrant their cost. We diluted our oils with witch hazel in a spray bottle, but you could use a carrier oil and roll-on bottle as well. (Plant Guru has a premixed “Shoo-Fly” blend to try if you’re not into mixing your own.) We’ll be testing out some different formulations and sharing our own recommendations in a future post. Some unpleasantly hot days this month were perfect excuses to conduct experiments in the kitchen. I decided to get my non-dairy eating 3-year-old off soymilk, but I haven’t been happy with the options available in our coop. They’re either not organic or they have additives I don’t want her consuming or she hates them. So I bit the bullet, got myself a bag for straining homemade nut-milks and began experimenting. 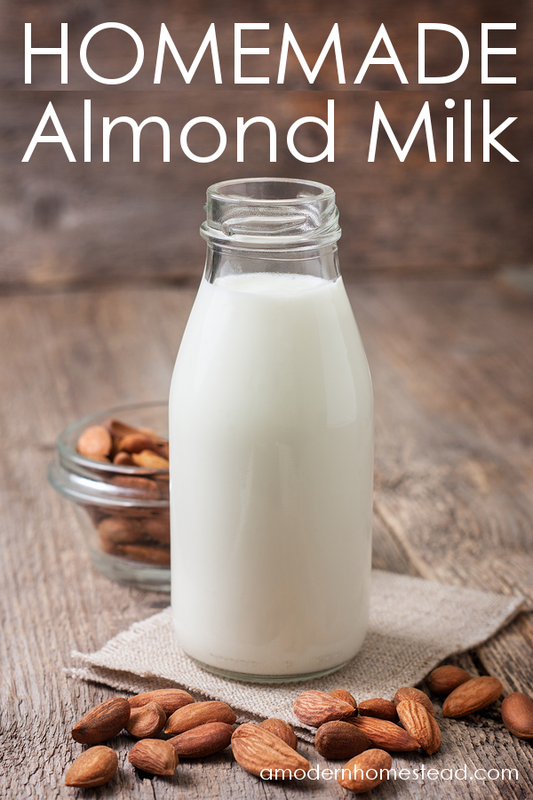 Almond milk was by far my favorite, and you can check out the recipe for homemade almond milk from Victoria at A Modern Homestead. I’ve never liked the watery store-bought kind, and all those people telling you homemade almond milk is completely different are absolutely right. Almond milk is really delicious, even if my 3-year-old doesn’t know it yet. Since she wouldn’t drink it, and organic almonds are really pricey, I started exploring alternatives. Homemade coconut milk was far cheaper and tastier than the store-bought stuff, but it didn’t meet with approval from my discriminating preschooler. Flax milk seemed like a great idea — flax has some excellent health benefits and is one of the cheapest ingredients to make milk out of — but it was really slimy and not at all yummy. When I mixed these two experiments together, I surprisingly got a thumbs-up, hooray! Somehow the two flavors tempered each other. So now I’m making coconut-flax milk regularly and will be sharing my recipe in a future post. I’m always happy to pick up new ideas about ways to limit my environmental impact. Meghan at Whole Natural Life explains how I can recycle CDs we no longer need. I’m not exactly happy, but certainly glad to know about yet another hidden source of toxins in our homes. I’ve thought of a lot, but there always seem to be more. Carol at Pure Living Space spotlights our pillows and explains how to find ones without harmful chemicals. Who wants to breathe VOCs and flame retardants all night long? 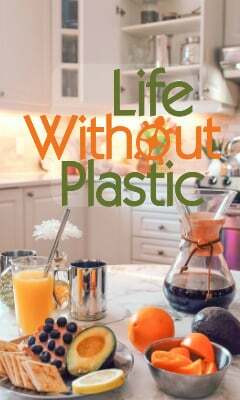 She has lots more ideas for reducing toxins in our homes if you’re looking for other ways to reduce chemical exposure. For more ways to limit your exposure to toxic chemicals, be sure to check out my free guide to reducing toxins in your home by filling in the form on my free guides page. I continue to revel in all the great ideas I find everyday in my inbox, on Facebook, and on Pinterest — and I pin them all! Follow me on Pinterest to see more intriguing ways to live greener and healthier. What were the highlights of June for you? Leave a comment! Don’t forget to pin this post to save for later! Great ideas for this summer!! Thanks for linking up on My 2 favorite things on Thursday! Pinned! This is a great group of posts! When I first read the title I thought it was a diy bug spray recipe made from coconut milk! That would have been interesting ? Thanks for linking up with us on Simply Natural Saturdays!